It pains me to be the bearer of such bad news, but this installment is lame-o; an exceedingly lazy storyline serving up zero cleverness, chills, and originality. Granted, the first one, in 1978, had a lot of zeitgeisty tailwind behind it, coming as it did just a few months after Ted Bundy's final arrest and at the height of macabre public curiosity. Laurie Strode, and the monster she faced, were virtual novelties at the time. Fay Wray and Jamie Lee Curtis' own mother, Janet Leigh, had made the onscreen scream famous in King Kong and Psycho respectively, but it was Jamie herself who become our first official Scream Queen, starring in a cavalcade of six horror films between '78 and '82. All this to say, flash-forward forty years.... Now that we've seen Hannibal Lecter and his ilk for several decades, the bar is quite high, and a simpleton slasher flick in which three teens are knifed and characters are introduced only to be forgotten moments later is just a dilapidated non-starter from the word go. I had expected something fresh, clever, creative, new. Anyhoo, so much more could have been done behind the scenes, or on the homefront of Jamie Lee's gentle, sweet, broken family, but it appears the writers had zero interest in character development or layers or nuance, so here we go again: charging forward like it's 1978 and we've never seen this arc. It's true: I do miss the originality of these teen slasher flicks, but it's also true that there's no going home again. 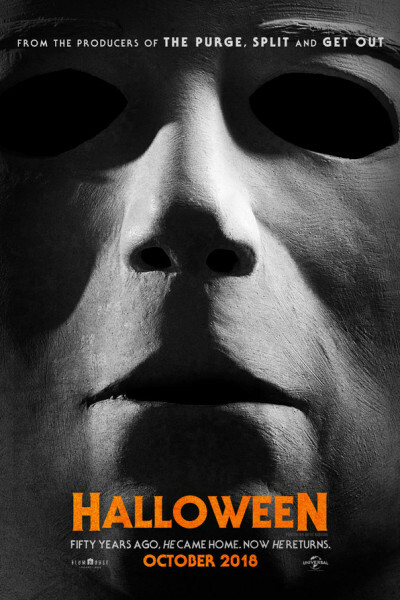 Universal Pictures said today that Halloween took in an estimated $77.5 million in ticket sales from North American theaters. It captured first place at the box office with the second-highest horror opening of all time, behind last year's It. It marks the second highest October opening ever behind Venom's $80.3 million launch earlier this month. The studio also says it's the biggest movie opening ever with a female lead over 55, in star Jamie Lee Curtis.